When you see a beautiful green outdoor space, you probably don’t think about the irrigation systems which lay beneath the lush grass, working each day to keep the space as beautiful as possible. Irrigation systems are a vital part of any outdoor space, these systems keep sufficient water flowing to the necessary spaces. Designing the right irrigation system can be complex and repairing existing systems is nearly impossible without the right help. 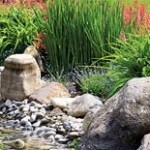 At GLIG Groundworks Pompano Beach, we can perform irrigation installation and repair in Pompano Beach and surrounding South Florida cities to keep your outdoor spaces adequately watered and incredibly beautiful. Irrigation systems are detailed interconnected highways of water sources that sit beneath the ground. They’re the most important part of lawn care, without the right irrigation your landscapes are left to the whims of irregular rain and long dry periods. 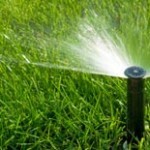 Irrigation systems help ensure that your landscape receives the perfect amount of watering. Proper watering can be tricky, too much moisture can do more harm than good. Our experts at GLIG Groundworks Pompano Beach understand the necessary balance when it comes to your irrigation systems. We take multiple components of your property into consideration prior to installation. Our skilled technicians can map out the irrigation of your needs prior to installation to formulate a detailed irrigation plan. In addition to design an installation, our professionals can help with any repairs your system may need. The underground nature of irrigation systems makes them tricky to diagnose, but at GLIG Groundworks Pompano Beach we have the proper techniques and necessary experience to diagnose and treat any problems with as little disturbance to your landscape as possible. We offer repairs across all aspects of your irrigation system, including rain sensors and pump stations. Our professionals also provide a written estimate prior to beginning the work to ensure that there are no pricing surprises. We combine our excellent workmanship with the best quality materials to offer you the most durable installations and repairs. When you work with our team at GLIG Groundworks Pompano Beach, you’re sure to equip your property with the best irrigation systems possible. We can install customized systems or repair existing irrigation systems to keep your landscape as beautiful as possible. We can install and repair irrigation systems of all shapes and sizes, including residential homes, commercial spaces, corporate campuses and office parks. At GLIG Groundworks Pompano Beach, quality is our motto! Call today to learn how we can bring quality irrigation installation and maintenance to keep your landscape as beautiful as possible.